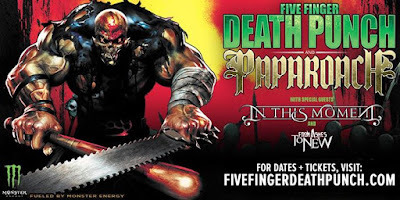 Five Finger Death Punch have added two new tour dates to their North American tour. Below you can read the message. You Demanded. We Listened. TWO ADDITIONAL #5FDPPapaRoach DATES ANNOUNCED! Exclusive presale starts TOMORROW at 10AM!